Out of the ashes of the Guitar Hero and Rock Band craze, games that utilize real guitar controllers are cranking up the volume this fall with the arrival of Ubisoft’s Rocksmith 2014 Edition and a new challenger, BandFuse: Rock Legends. 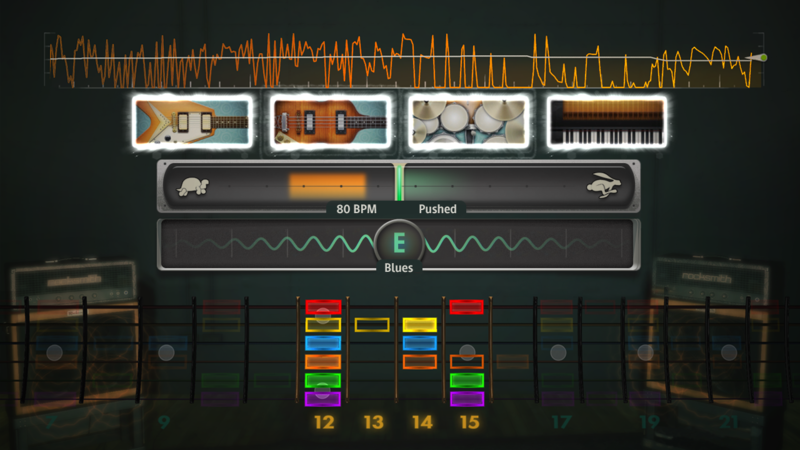 Ubisoft is showing off the new Session Mode in Rocksmith 2014 Edition at E3. Players will be able to customize AI bands that respond to and feed off of the users’ actions. We’ve heard this promise from music games before, but this time it does appear to be quite intelligent and musically-grounded. 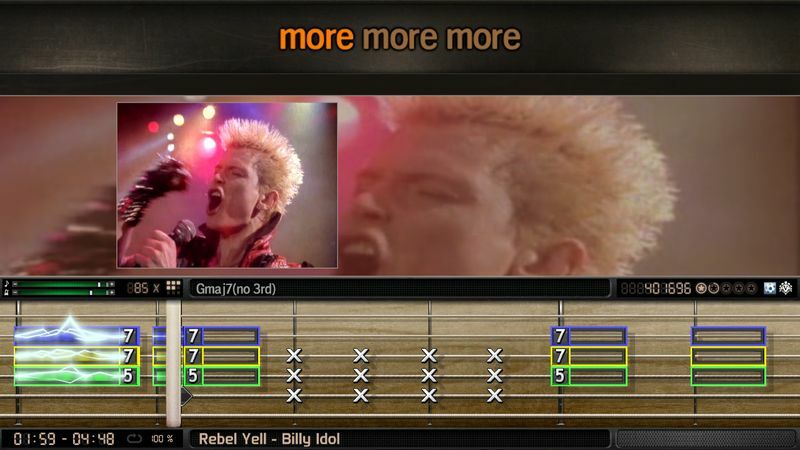 Players have a wealth of options, such as different tonal modes and genres. The 2014 edition, which we’ll forgive for coming out in October 2013, addresses several complaints from the original game, such as loading times and frustrating menus. It arrives on PC, Mac, Xbox 360 and PS3 with songs from Alice in Chains, Aerosmith, Smashing Pumpkins, Oasis and more. Rocksmith has done well since its initial release in 2011, selling over 1.5 million copies. Ubisoft touts the game as the “fastest way to learn guitar” according to a national study, noting that 95 percent of players say they’ve gotten better at the instrument after playing the game. Also at E3, I went hands-on with BandFuse: Rock Legends. The game, which has attracted big name guitarists like Slash and Zakk Wylde, scrolls guitar tabulation in real-time and supports four players: two guitars, a bass and vocals. As an average guitarist and better-than-average Guitar Heroist, transitioning to the BandFuse interface was relatively seamless, though learning to move up and down the fretboard while keeping an eye on tabs will take some time. Like Rocksmith, BandFuse promises to teach beginning guitarists how to play, though the educational aspect isn’t being promoted as heavily. A $60 version of the game will come bundled with a proprietary cable, and kits including a Squier Stratocaster guitar will retail for under $200. BandFuse’s developers said that when they showed their work to Harmonix co-founder Alex Rigopulos, who helped develop both Guitar Hero and Rock Band, he said it was the game that Harmonix had originally wanted to make. Admittedly, real guitar gaming has a steep learning curve, but I’d argue it’s not noticeably steeper than that of a first-person shooter or real-time strategy game. The lack of building real guitar skills was one of the chief complaints about the Guitar Hero and Rock Band franchises, and, arguably, one of the reasons for the demise of the cheap plastic guitar and its related games. The fact that both games work with just about any electric guitar or bass is a plus, as it eliminates the need for expensive single-use controllers. Existing guitarists will simply be able to use their own axes, and beginners would have had to purchase a guitar anyway if they were learning through more traditional methods. Judging by their E3 demos, Rocksmith and BandFuse are going to be a blast, so you can start looking forward to rocking out with your friends this fall when they hit the market.